From Goodreads: In 2003 Wally Lamb—the author of two of the most beloved novels of our time,She's Come Undone and I Know This Much Is True—published Couldn't Keep It to Myself, a collection of essays by the students in his writing workshop at the maximum-security York Correctional Institution, Connecticut's only prison for women. Writing, Lamb discovered, was a way for these women to confront painful memories, face their fears and their failures, and begin to imagine better lives. The New York Times described the book as "Gut-tearing tales . . . the unvarnished truth." 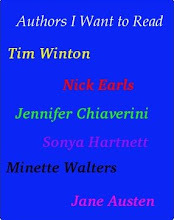 The Los Angeles Times said of it, "Lying next to and rising out of despair, hope permeates this book." 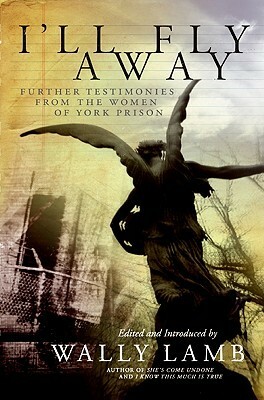 Now Lamb returns with I'll Fly Away, a new volume of intimate, searching pieces from the York workshop. Here, twenty women—eighteen inmates and two of Lamb's cofacilitators—share the experiences that shaped them from childhood and that haunt and inspire them to this day. These portraits, vignettes, and stories depict with soul-baring honesty how and why women land in prison—and what happens once they get there. The stories are as varied as the individuals who wrote them, but each testifies to the same core truth: the universal value of knowing oneself and changing one's life through the power of the written word. Thoughts: Last year I read the first of the anthologies Wally Lamb helped produced with a collection of inmates from the York Correctional Institution - Couldn't Keep it to Myself. I can remember feeling amazed by the stories. I'll Fly Away is more incredible stories. The thing that really stands out for me is how hard we work to dehumanise these women and then act surprised when they don't rehabilitate. Several of the stories mentioned how degrading the prison experience is and how any attempt to try and better yourself, retain some dignity is stripped away. While none of these women argued that they shouldn't be punished for what they did, I don't believe any of them deserve to be treated the way they are at times. Their stories are incredible. They pull no punches. Some of the women came from fairly horrific backgrounds, enduring years of abuse and hatred leading to acts of desperation. Others backgrounds were picture perfect, yet somehow they lost their way and ended up incarcerate. Books such as these are essential reading, allowing us to strip back the media hype over how prisoners are treated, what lead them to prison in the first place and how we treat them inside the walls makes a huge difference to how they manage outside of them.